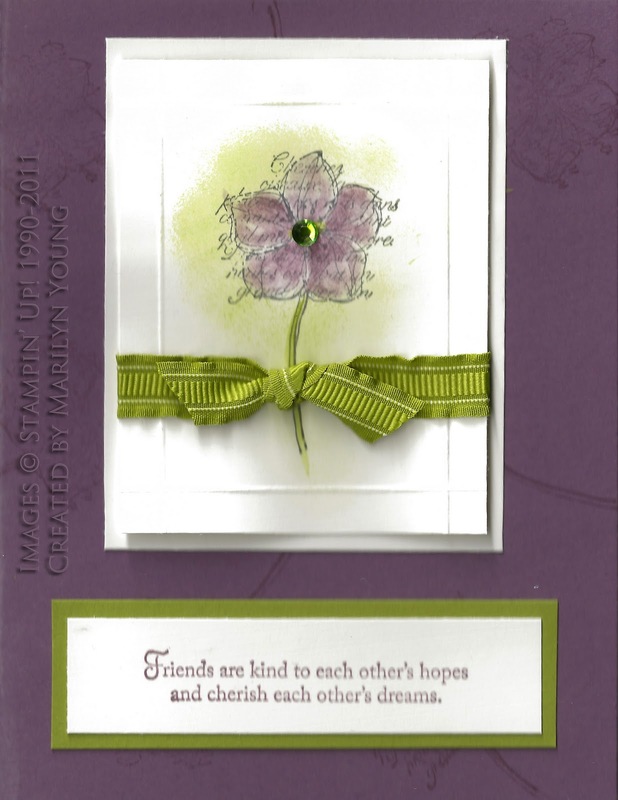 This is a card that I made at Marilyn Young's card buffet last night. I must confess that I did "cheng it up" to use a new technique that I learned at our September demonstrator meeting. Notice the Lucky Limeade rhinestone in the center of the flower? Yes, it is a Stampin' Up! basic rhinestone. Judi Martin told us how to color Stampin' Up! 's clear rhinestones with a Sharpie marker to make it the color that you need. It's easiest to color the rhinestone while it is still on the sheet. Let it dry and then place it on your card. This is a technique that I'll be using a lot. This is how the rhinestones look before they are colored. 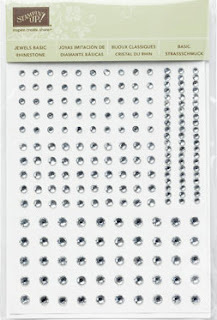 Enjoy making your custom-colored rhinestones. Love what you added to the card. The new ribbon really adds a new dimension, and is very pretty.